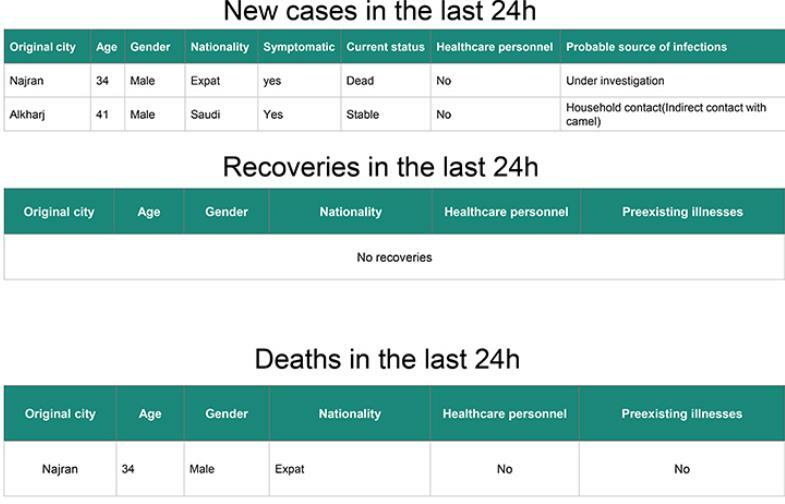 After going 8 days without reporting any MERS cases, the Saudi MOH announces two today, one of which (M,34, Najran) has already died. The second case (M,41, Al-Kharj) is listed in stable condition. 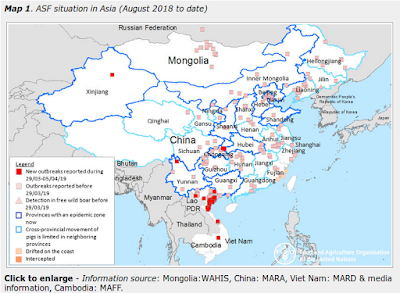 The likely exposure of the fatal case is still under investigation, but the Al Kharj case is listed as a Household Contact - Indirect Contact with Camel. It is likely this person is connected to the 47 y.o. 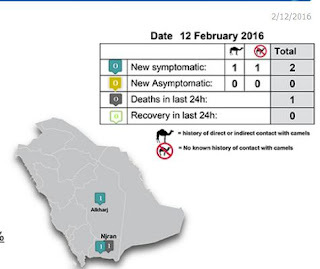 male with camel contact from Al-Kharj reported on January 27th. 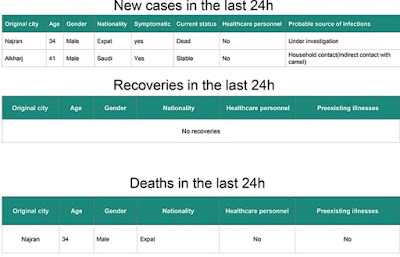 In what is hopefully part of an ongoing trend, Saudi Arabia has now gone more than four months without reporting a large hospital-related MERS outbreak. The last one of any size was in Riyadh last summer.